In my three months living in Thailand, I’ve found one comparison to help those who have never been here to help describe what the country is like – the state fair. I can only speak for the Minnesota State Fair, but I’m fairly certain there isn’t much difference from one to another. Thailand is hot. Those state fair mornings are usually pleasant enough as the sun and humidity have yet to take full effect. By the time noon shows up, you’re hot and sometimes uncomfortable. You’re still having fun, but you could use a cold shower and some ice cream. By mid-afternoon, the people at the fair look like cows huddling in whatever shade they can find and hope to rest long enough for the blood to escape their sausage fingers as they kick off their flip-flops. The afternoon isn’t ruined, it’s just hot. This is Thailand. You can see how busy it is, but believe me, it's also hot. Thailand is crowded. Aside from the rural areas, go to any ampur’s market and it won’t be easy to move. The density of people in Bangkok makes Chicago look like Cedar Rapids, Iowa. 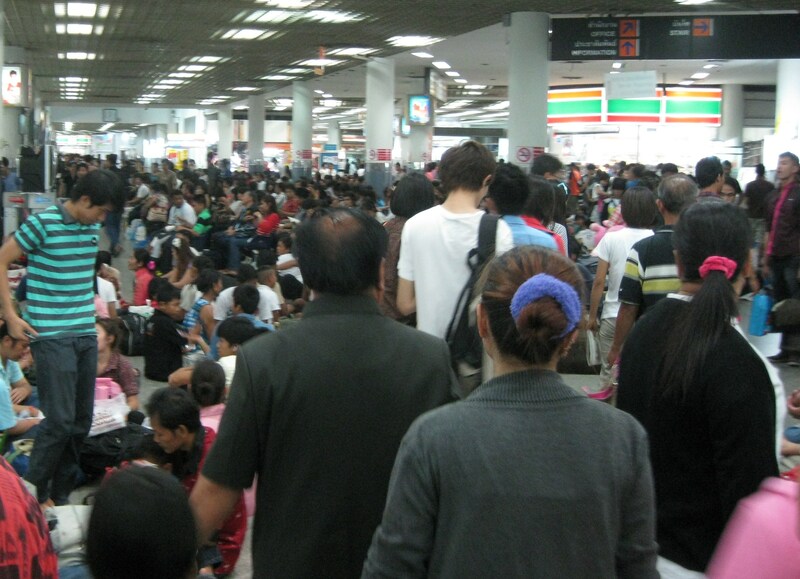 The bus station in Bangkok was a bit crowded. Once again, there’s always those pleasant state fair mornings when there is mostly senior citizens wandering about and there’s room to move. Then the lunch crowd shows up and there are unparented children running about and shouting to their friends as they walk backwards not realizing they’re about to receive a stiff arm from you. Once again, just because it’s crowded doesn’t mean you’re not enjoying yourself – it’s just a bit tiring. This is Thailand. Thailand is dirty. 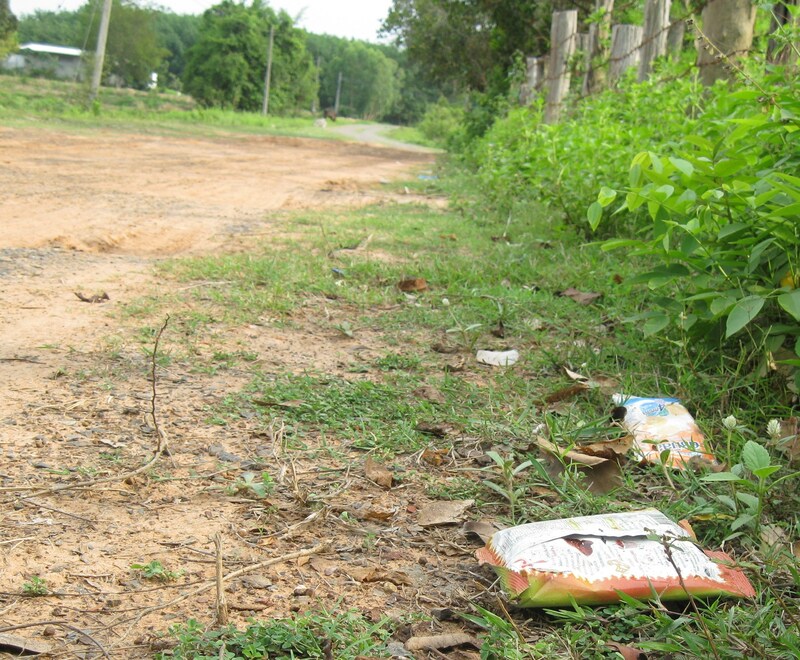 A lot of Thais aren’t good at finding a garbage can. This may be because there aren’t many to be found. This ditch is pretty clean compared to others I've seen. The state fair has plenty of garbage barrels and recycling bins, but this never stops the inconsiderate adults and poorly parented children from throwing their meatless sticks and greasy mini-donuts bags to the curb. There’s the spilled slushy surrounded by bees and ants and the occasional alley that smells of piss. There’s still a beauty to the merry-go-‘round and ferris wheel and most of the ugliness is minimal and can be ignored. This is Thailand. Thailand is loud. The Thais love their microphones and speakers. I sometimes wonder if anyone but the person behind the microphone is listening or if it’s just a way for them to feel mightier. As you pass through the crowded, dirty and hot vendors, there’s the local classic rock station blaring the worst of its catalogue – usually Lynard Skynard or Journey – at top volume with the bass turned up way too loud. You can hear the giant fake boom box a football field away as you approach and spend the rest of the day trying to get “With Open Arms” out of your head. Sometimes they’re broadcasting live and the local DJs deep voice makes you think you’re having heart palpitations. This is Thailand. Thailand loves neon lights. Where’s the party? Just follow the neon lights set up for a miles in each direction of a Thai party. Keep going until you find the mass amounts of neon lights surrounding the stage and hundreds of tables. Walking through the midway surrounded by carnies, rednecks and teenage boys smoking Carpi 100s, it feels like it’s daylight with all the lights from the rides, games and those worthless glow-in-the-dark necklaces. It’s not difficult to find the state fair, just like it’s not difficult to find Las Vegas – follow the lights. This is Thailand. 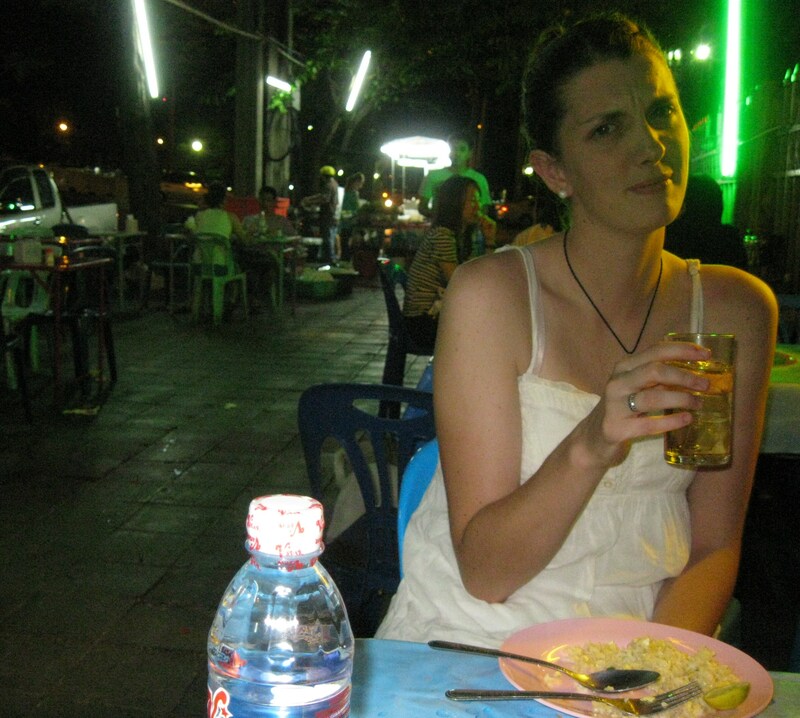 Thailand is full of greasy food. This food is so good? How did you prepare it? Don’t ask, that’s how they prepared it. Thais love to fry three-plus meals a day. If they’re not frying, they’re deep frying. Mini-donuts, foot-long hot dogs, French fries, hamburgers, meat-on-a-stick – none of it is good for you, but you eat it anyway. The state fair only comes around once a year, why not? This is Thailand. Thailand has lots of meat-on-a-stick. Go to any downtown market and it’s a safe bet you’ll find a number of vendors with meat-on-a-stick. Some of it’s grilled and some of it’s deep fried in front of you. 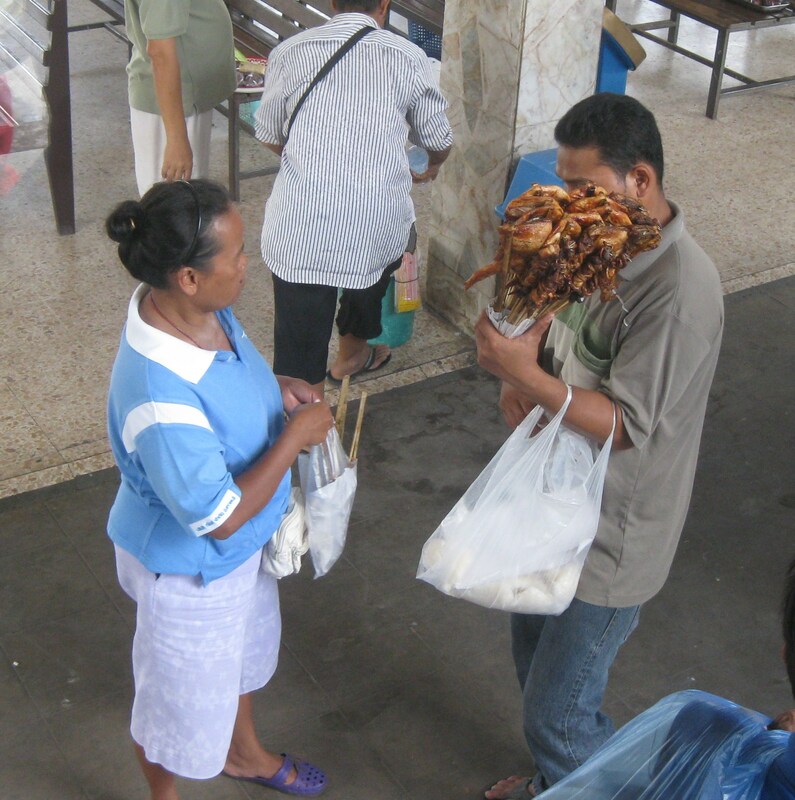 A woman buys some meat on a stick to munch on during her bus ride. What would a state fair be without various meats-on-sticks? This is Thailand. 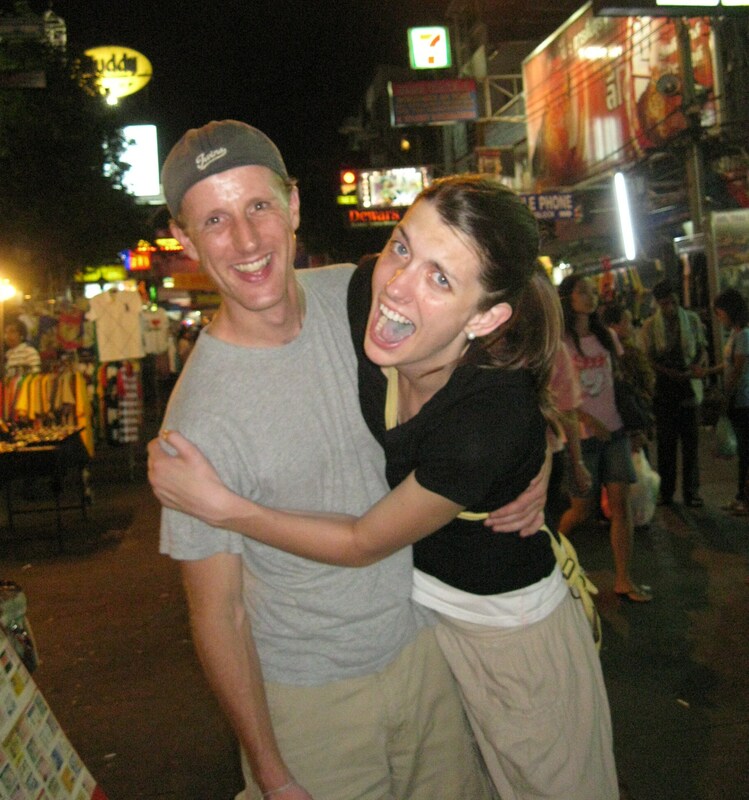 Thailand is fun. The state fair is about enjoying the end of summer (at least in Minnesota) and being a part of a great community. It’s about good food, family, friends and fun. It’s not the prettiest place you’ll visit in the year, but it’s genuine. Everyone is there to enjoy themselves and, despite the heat and other nuances, normally do. It’s a bit tiring, but worth it. It’s full of friendly, smiling faces who are more than happy to lend a hand. This is Thailand. 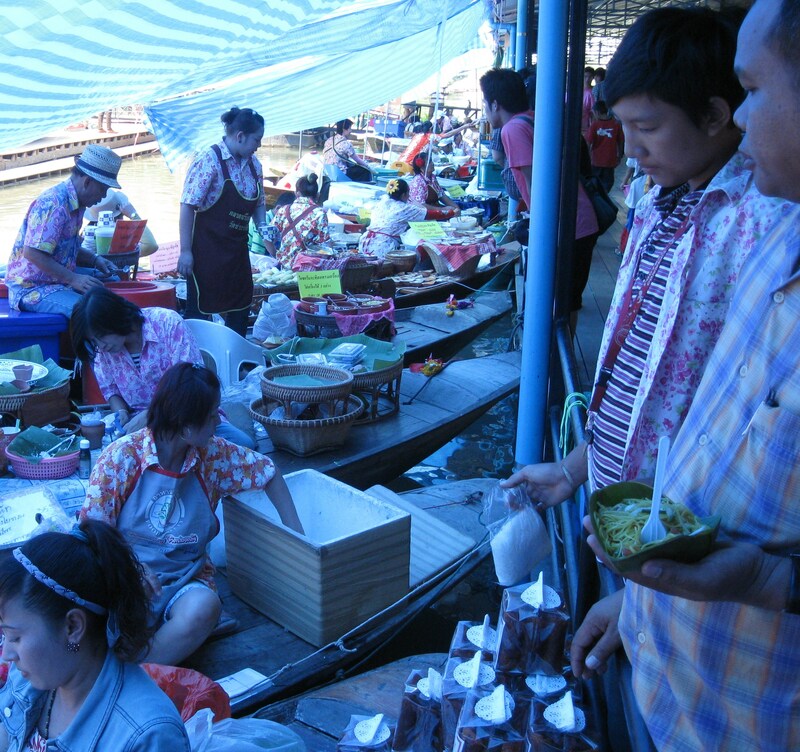 This entry was posted in Peace Corps and tagged state fair, thailand by Jeff Jackson. Bookmark the permalink.